When terrorism struck Belgium last month after hitting France twice in 2015, the attacks bound our two countries in the same unspeakable experience of blind horror. While Europe was the immediate target for these assaults, terrorism remains a scourge that concerns the entire world. Other continents have been targeted in recent months. Tunisia, Mali and Ivory Coast in Africa; Jakarta and Lahore in Asia. Terrorism has declared war not only on Europe but on universal values. It’s a terror that seeks to destroy what we are and how we live. The horrifying events in Paris and Brussels hit people out of the blue as they sat on café terraces, took flights or trains, travelled to work. A total of 147 people lost their lives in the Paris attacks in 2015. Around 30 people have been linked to the terrorist attacks to date, 11 of whom are deceased and 12 of whom are incarcerated. Terrorism is a global threat which requires a global response, most importantly in terms of information-sharing. It’s a long-term fight that we must continue with weapons of the law: legislatives provisions that are efficient and respectful of fundamental rights and freedoms. Our weapons also include determination, lucidity and seamless self-control, always maintaining a true awareness of the seriousness and the extent of the threat we face. It’s a fight which requires constant vigilance. That’s the reason why the French Government has taken new measures to strengthen border control mechanisms and ensure the presence of police, gendarmerie and military at every airport and railway station. Fundamental action must be carried out to fight the threat at its root: in our societies through de-radicalisation programs that neuter violent extremism. Cooperation and information exchange as we rail against terrorism is essential. In this spirit, Australia’s Minister for Justice and Minister Assisting the Prime Minister on Counter-Terrorism, the Hon. 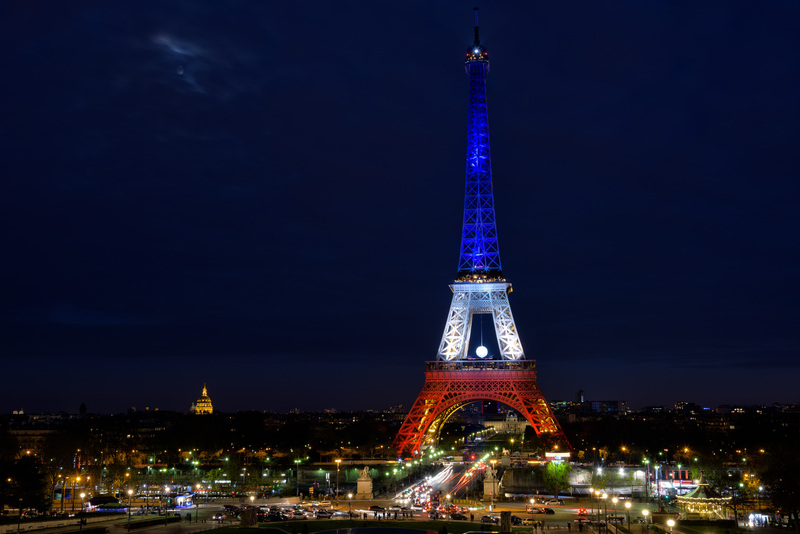 Michael Keenan, visited Paris last month  to discuss efforts to counter Islamic extremism. Combatting terrorism must be based on a common effort to take the money out of crime. Money is the sinew of war—terrorists require finances to buy weapons, vehicles and caches. The international fight against terrorist financing is the fundamental bastion for peace and security in the world. It’s a long-term action which has been ramped up since January 2015. France has placed a number of its specialised agencies at the frontline of this effort by adopting the 4th European Regulation against Money Laundering and Terrorist Financing on 5 June 2015. France has also sought to place the fight against terrorist financing on the agenda of the G20  and also that of the European Council of Finance Ministers. While the Paris and Brussels attacks challenge the world, they’re especially jarring for Europeans. The attacks, perpetrated in some cases by our own citizens, challenge our identities as individual nations, our unity, cohesion and solidarity as French and Belgian citizens and as members of the European Union. The attacks attempted to threaten the identity and unity of the EU’s 28 Member States. Europe’s border security is urgently being addressed. We know Daesh has stolen large numbers of passports in Syria and is using those otherwise legitimate travel documents to move its people into Europe. France has pushed to implement a European Passenger Name Record protocol, and earlier this month it was finally approved by the European Parliament . The security of Europe is the fundamental prerequisite for both our free society and our economic growth and development. France won’t bow to the threat of terror as it seeks to take away the life of our nation, and the contribution we make to the world. Euro 2016, the Tour de France 2016 and our other major sporting and cultural events will go on. We’re free people in a free and dynamic society and economy. We’re not scared. France is facing the terrorist threat head-on by both resisting it and by every day demonstrating that our identity, our society and our culture is the better alternative. And we won’t forget those around the world who are also targeted by the terrible torment of terrorism. Christophe Lecourtier is the Ambassador of France to Australia.